Aside from the innate purpose of a label, which is to provide identification for an object in order to separate it from other objects of components, including a gift label adds a personal touch to the present you’re giving. And since gift wrappers are mostly plain, the label indicates the event in which the gift is given. 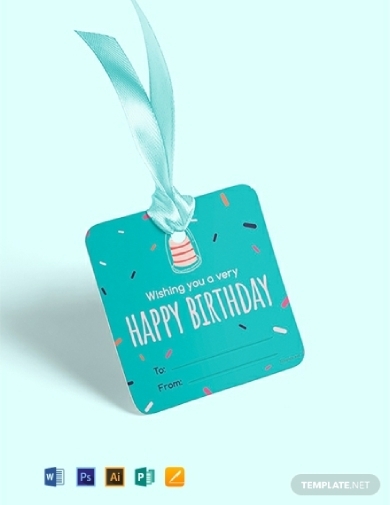 To give you some unique and creative options, we have provided various gift label templates that you can download. You can express gratitude in many ways, and one way is to give presents to people who have helped you achieve your goals or who have shown support since day one. The gift in itself is enough, but including a personalized label that expresses what the gift is for is the cherry on top. 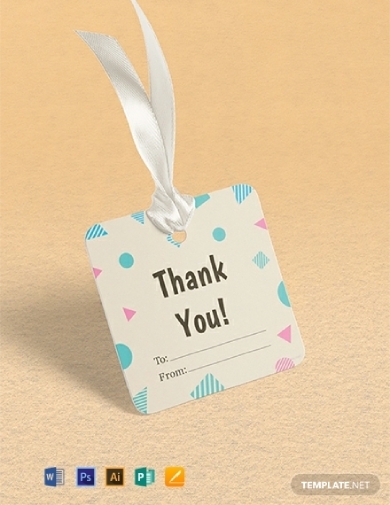 You can download and edit this thank-you gift label template to attach to the gift you’re giving. Birthdays are important milestones in someone’s life, and making sure you show your happiness with this special event is a great way to show your love. 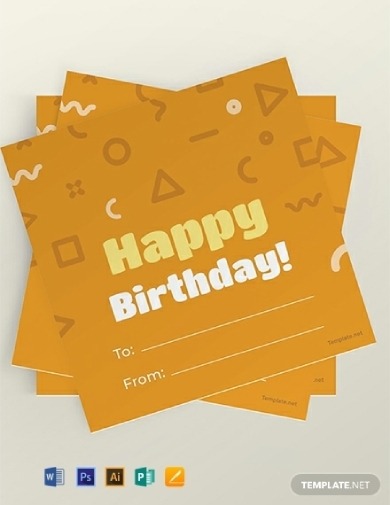 Send them gifts that you know they will love along with a birthday gift label that will inform them who the gift is from. You can download this gift label template for free. Let your kids or nephews and nieces feel your love with giving them fun and cute gifts. Although kids will most likely forget that you gave them gifts, attaching a label will make sure that they know who it is from. 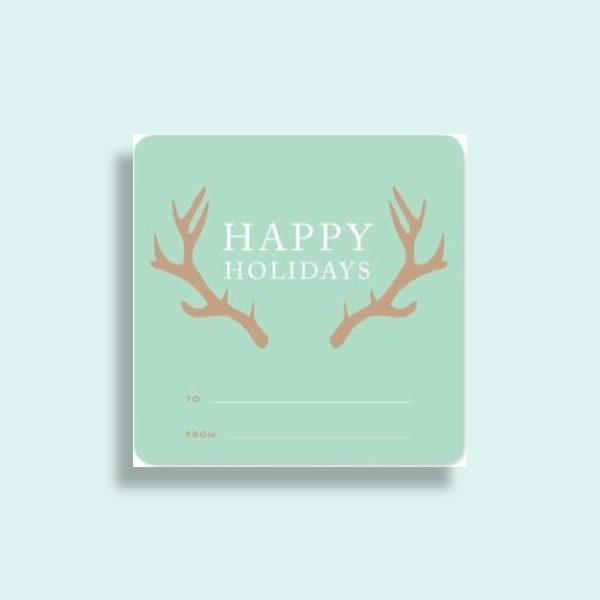 You can download and use this cute kids gift label template for free. It has a fun layout that will surely make any kid even more excited about what’s inside. 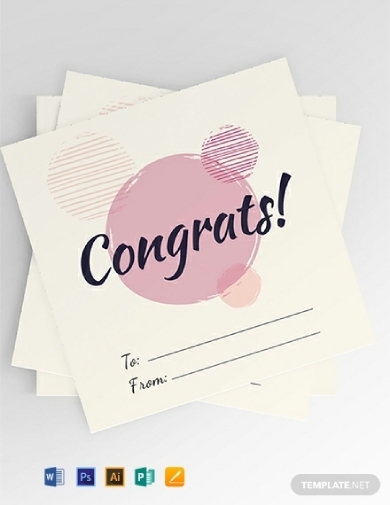 Let your loved ones know you’re proud of their achievements by giving them gifts with this simple but cute congratulatory gift label. This template features an eye-catching design along with a flexible layout that you can easily edit to suit your preference. It will surely make your receiver appreciate your gift even more. Gifts you buy from the store are great, but nothing is better than giving something you made with love. If you want to give a special dish as a gift to a friend’s housewarming, for example, you should attach a gift label that will tell them how you made this gift yourself. You can download and edit this food label template if you’re looking for the cherry on top of your gift. Express how excited you are for a friend’s or relative’s new journey in life with this chic wedding gift label. 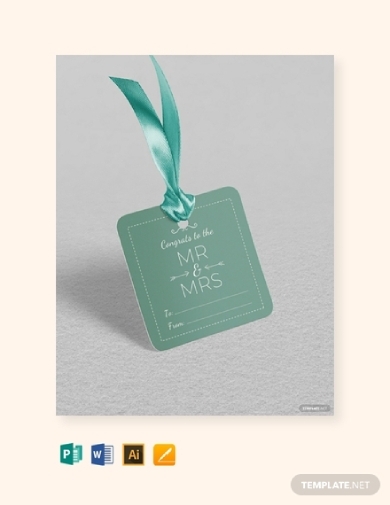 Aside from the gift, this gift label is the perfect way for you to let the couple know how happy you are for their union. This may be simple, but the couple will surely appreciate the fact that you have given something out of love. 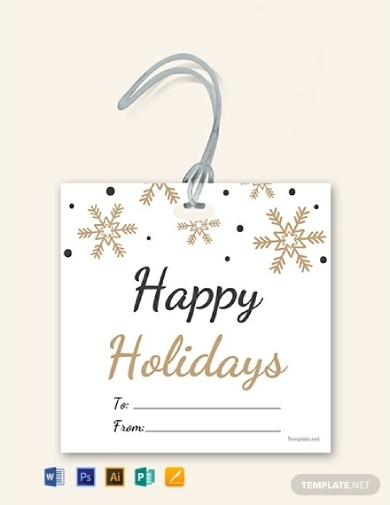 The holidays is the season to give and receive gifts, and you can be unique by attaching this beautiful holiday gift label on your gift. Not only does this have an amazing design and illustration, but it also has a clean layout and format that ensures your receiver knows who the gift is from. You can download this template for free from this article. Nothing is more beautiful than a classic vintage look, and you can embody that with how you package your gift. This vintage gift label has an intricate design and a simple font style that will surely let your receiver know how you appreciate him or her. 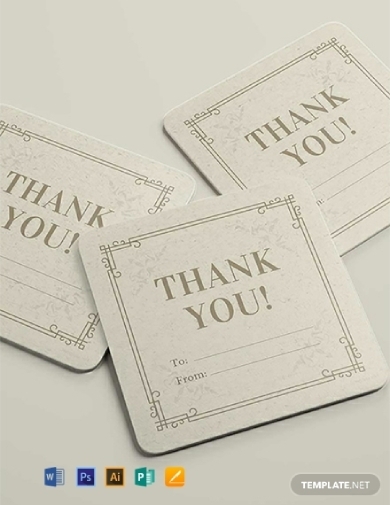 Through this thank-you gift label, you can express your gratitude in style. 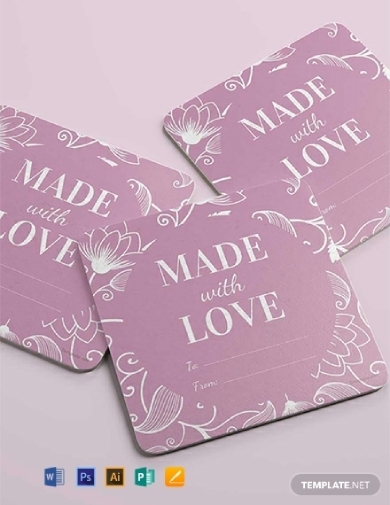 Give your friends and families cute and amazing gifts during special occasions or even during ordinary days to express your love and appreciation for them. 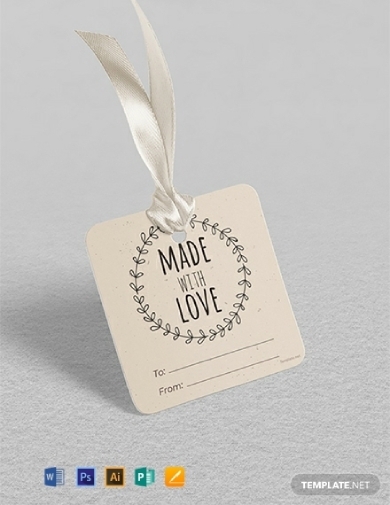 And what perfect way to wrap things up than using this charming floral gift label. This features an appealing floral design that could easily wow your recipient. In addition, you can easily edit this to change font styles and format. When planning a wedding, you need to make sure that everything is coordinated and consistent. From the venue decorations down to the party or favor bags, they should have coordinated designs. 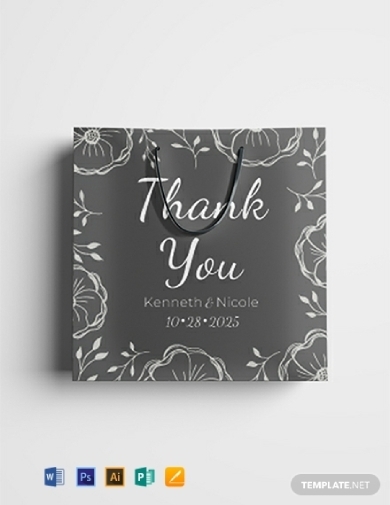 If you are looking for a beautifully designed and aesthetically pleasing wedding gift bag label, we have one that will surely impress your guests. You can download this template and edit as needed. Who doesn’t want to receive a good wine as a gift? Of course, no sane adult would say no to one bottle of wine. But when you do give it as a gift, make sure that you add little bits to make it more personalized. 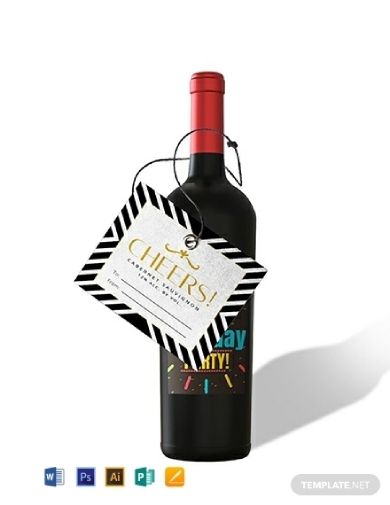 This gift wine label template is customizable to ensure your preference and style is incorporated into the label. Express your pride with your friends’ and/or families’ achievement during graduation by sending them thoughtful gifts. 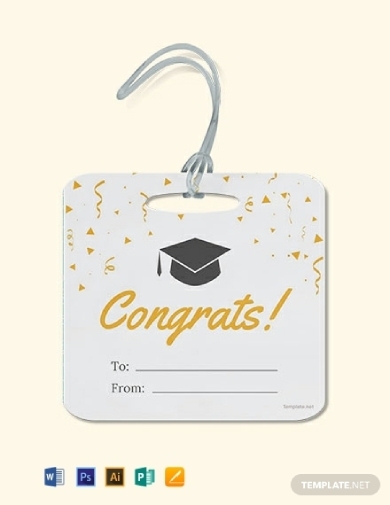 You can use this graduation gift label template to make sure your gift immediately sends your congratulatory greetings along with the information as to who the sender and receiver is. Download and edit this template in Adobe Illustrator and Photoshop, MS Word and Publisher, and Apple Pages. Share the Christmas spirit to your families and friends with the gifts you give during Christmas. Although the gift you give is important, ensuring that the recipient knows what gift is theirs and who it’s from is also essential. 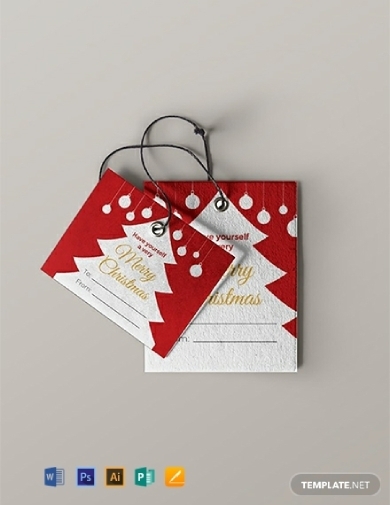 If you’re looking for a well-designed and pleasing Christmas gift label template, we have one for you. This is free for download and easily customizable. If you want to gifts through mason jars or any circular container, you can take inspiration with how this gift label example is designed and formatted. Wish your friends a merry and magical Christmas indeed. 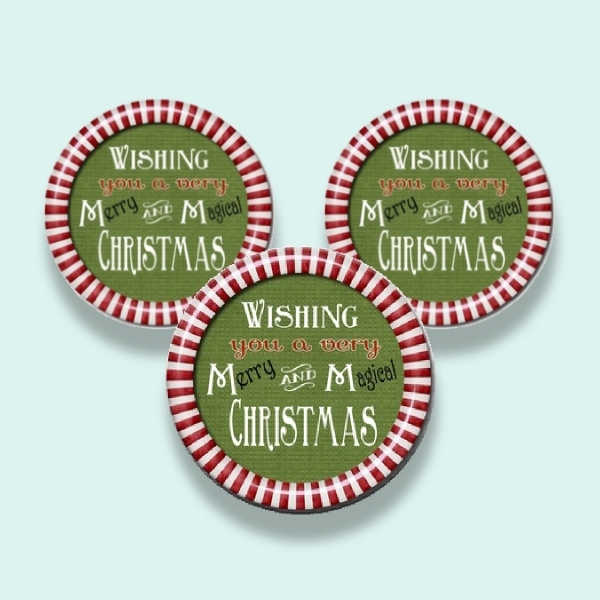 Wish your families and friends happy and fun-filled holidays with the help of this holiday gift label. You can take inspiration with how the designer used the symbolism behind a reindeer antlers to relate it to the holidays. The clear and simple layout will surely add a sleek and chic touch to your gift.